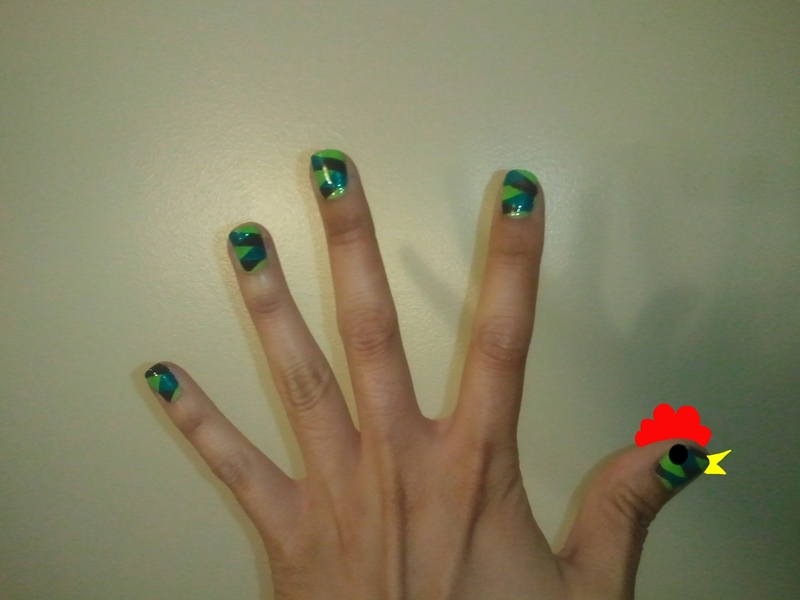 nail polish | Random moosages as I see fit. I have spent most of today (which is actually yesterday, by the time you read this) dealing with the horrible death. I actually think I’m over it now. I guess I only contracted a very abbreviated version of the horrible death. But it still wasn’t fun with a three hour drive to a client site in which I caught the front edge of morning rush hour, which meant I had to sit in three hours of traffic, and I ended having to go through DTLA. And then I got to drive two hours back all nauseated and headachy. It was the best. So, since I spent most of day being sick, I have no ridiculous post scheduled. Instead, you can see some things Port has done recently. Braided tail feathers. Doesn’t take that long, actually. Dripping paint. Port’s right hand counterpart actually turned out better. Mustaches! And Yaris wanted to be a hand model. I think Port has done more things, but I don’t know where the photo evidence is. Oh well. I didn’t get a picture until it had already started chipping. Oops. This is already gone, of course. 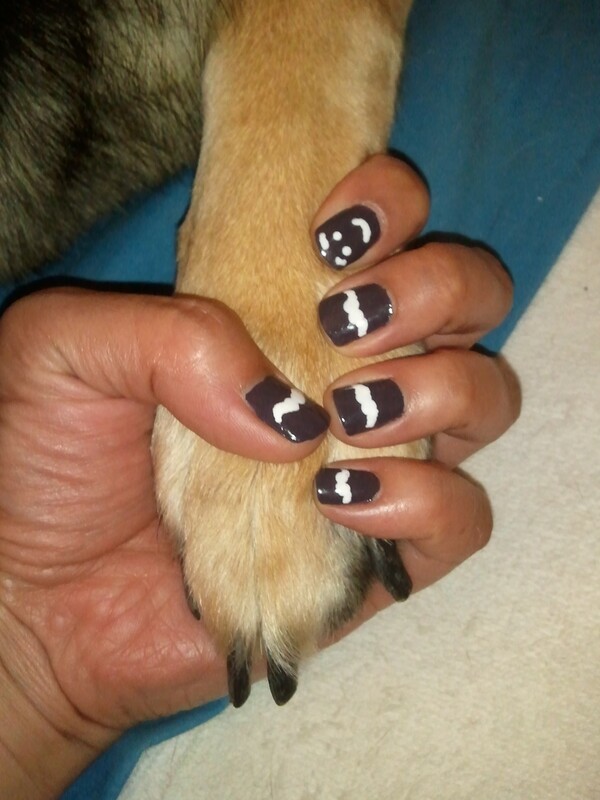 I don’t meet customers with strange looking nails. 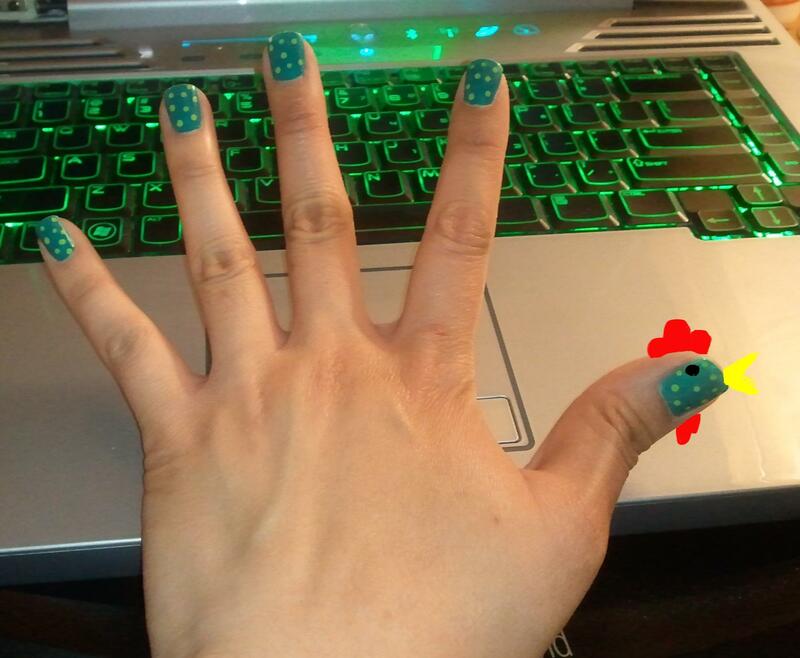 Anyway, it’s lime green dots on a kind of sparkly teal. The dots were made with my glass nib pen. 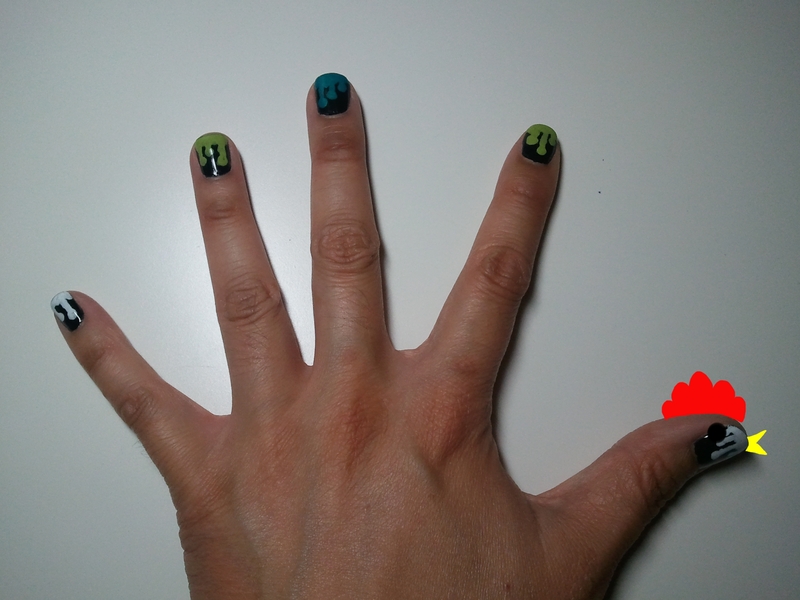 One of my colleagues said that my nails reminded him of Dr. Seuss books. I thought they look a bit like Yoshi’s eggs.